Program starring Danny Glover, Djimon Hounsou, Toni Morrison, Bakari Sellers, Edwidge Danticat, Garcelle Beauvais, Jimmy Jean-Louis… for an even more committed Festival! The 7th annual Toronto Black Film Festival (TBFF), presented by TD Bank in collaboration with Global News, announces the official program and events lineup running February 13 – 18, 2019. TBFF is honoured to welcome Tarana Burke, Me Too movement founder and one of Time Magazine’s 100 most influential people in 2018, who will receive the TBFF 2019 Social Impact Award during an intimate evening where she will share her journey as an activist and women rights advocate. Created by the Fabienne Colas Foundation, the Toronto black Film Festival promotes diversity off and on screen and gives minorities a voice. Part of TD’s 2019 Black History Month Series, #TBFF19 will kick off with Daryne Joshua’s ELLEN: THE ELLEN PAKKIES STORY (South Africa’s selection for the Golden Globes) as a Canadian Premiere and will close with the Ontario Premiere of DEAD WOMEN WALKING by Hagar Ben-Asher. 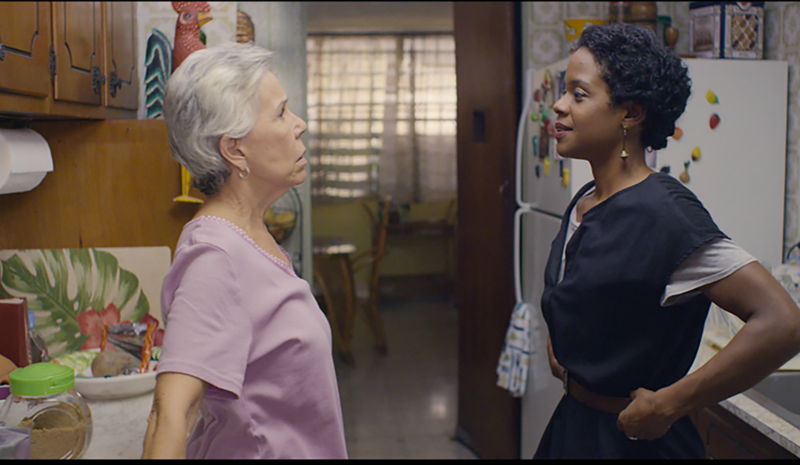 For the first time, TBFF presents two center pieces: Jorge Navas’ WE ARE THE HEAT (Somos calentura), and SPRINTER by Storm Saulter (executive produced by Jada Pinkett Smith and Will Smith). For its second year, The TBFF Kids Film Festival will return on Family Day (Feb 18) and opens with the amazing feature JIM BUTTON AND LUKE THE ENGINE DRIVER, by Dennis Gansel. TBFF is thrilled to be hosting a movie-talk with former American politician Bakari Sellers. Industry events will take place as part of TBFF Black Market which includes a Panel Discussion and Masterclass with filmmakers. Festival goers can cap off their day with the #TBFF19 late night Live Performances and satiate their cravings with exotic food at the first edition of the TBFF Food Experience. The 7th annual Toronto Black Film Festival, created by the Fabienne Colas Foundation, is presented by TD Bank in collaboration with Global News – from February 13 to 18, 2019 – At Isabel Bader Theatre, Carlton Cinema, Jackman Hall (AGO) and Art Square Gallery Café.